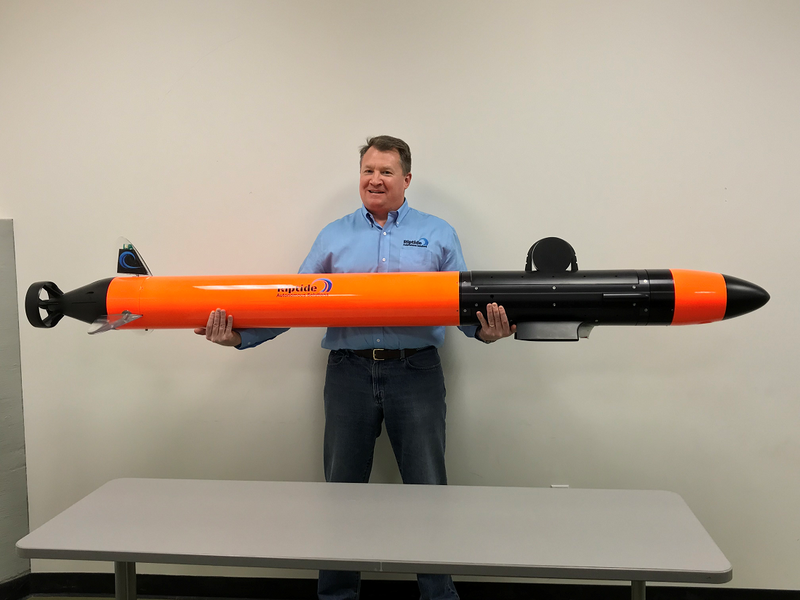 During Sea-Air-Space in National Harbor, Md., Riptide Autonomous Solutions displayed a new variant of its unmanned undersea vehicle (UUV) product line. This particular vehicle is a deep-rated version to support acoustic telemetry research programs. The deep UUV is rated for 1,500 meters depth but still only 7.5 inches in diameter. 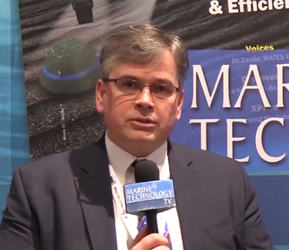 Its payloads include CTD, acoustic modem and a custom towed acoustic receiver array. With industry leading low power hotel load this system can still deliver over 48 hours of endurance for field testing. Dan Lawrence, leading the effort for Riptide, noted, “The purpose of the current vehicle is to demonstrate long range, medium data rate acoustic underwater communications for a mission critical project. To accomplish this we needed to operate for long periods in the deep sound channel.” These waters, around 1,000 meters deep, are typically out of reach of compact UUVs. Riptide’s open source software and flexible mechanical design enabled the rapid development of this custom UUV and ensured the research program could be executed as planned. The deep UUV is on display at the Sea-Air-Space symposium in National Harbor, Md., April 9-11. Also on display will be the second generation MK II UUV recently introduced to the market. This vehicle offers performance and manufacturability improvements while retaining the payload versatility and open architecture of the original UUV. Riptide has begun shipping the new MK IIs and can tailor systems for customers interested in deep applications.